Apple announced several new bands for the Apple Watch at its last event, and now several more from Hermès are on the way. Available on 19 April, Single and Double Tour straps will come in Bleu Paon (Green), Bleu Saphir (Blue), Blanc (White) and Feu (Orange). Pricing depends on what colour and style you want, and starts at $340 for 38mm and 42mm Single Tour versions. 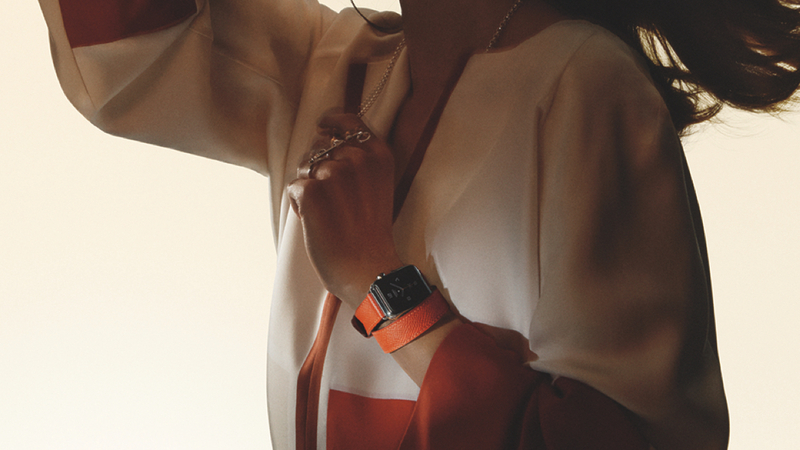 The Double Tour is limited to 38mm Apple Watch models, sells for $490 for both regular and long strap lengths. You can pick up the high-end Hermès options as stand alone accessories for the first time, from brick and mortar stores and online. Along with the new Woven Nylon bands, Sport Bands, more Leather band colours and a Space Black Milanese Loop, it seems like Apple is focusing quite a lot on pushing out new bands instead of releasing Apple Watch 2 or even watchOS 3. However there's another Cupertino conference later in the year where hopefully, new goodies won't only consist of how we can best match our smartwatch to our outfits.